The Official Anais Anniversary Event!! The premier Shark Tank Social back in August was a great time. Networking, food and drinks, and an amazing Chicago art gallery were the perfect pieces for an amazing event. 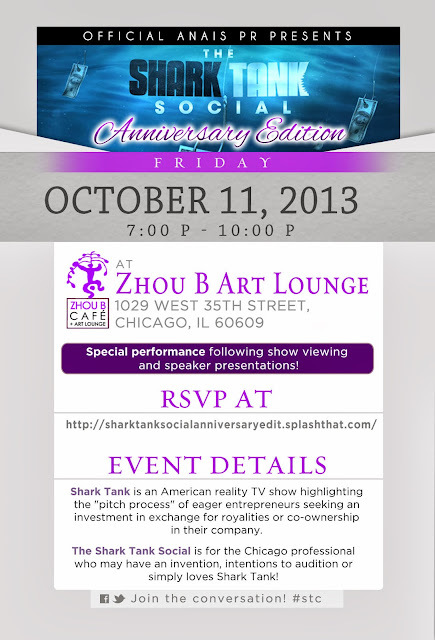 Now, our favorite PR firm is celebrating its anniversary with another edition of the Shark Tank Social. Get this on your calendar today! !